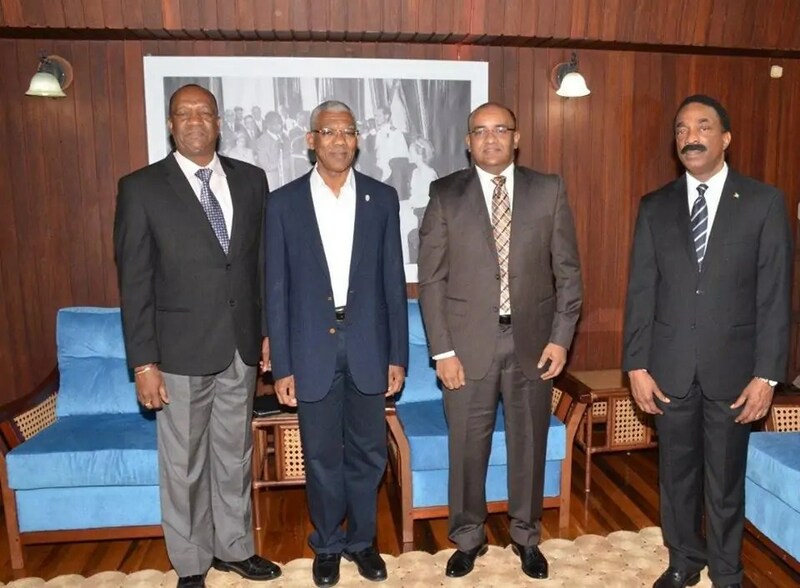 President Granger met with the Opposition Leader this morning at the Ministry of the Presidency and proposed the appointment of Justice Cummings-Edwards. The Opposition Leader did not object to the appointment but attempted to introduce a criteria for the position. President David Granger and Opposition Leader Bharrat Jagdeo have agreed that Justice of Appeal, Yonette Cummings-Edwards will be the Judge to perform the duties of Chief Justice as the Acting Chief Justice, Ian Chang heads off into retirement. After it was pointed out to him that there is an absence of criteria in the Constitution when it comes to the position for a Judge to perform the functions of the Chief Justice, Mr. Jagdeo voiced no objections to the President’s proposal. Justice Cummings-Edwards currently sits on the Appeal Court as a Justice of Appeal. She will have to leave that position to take up her new role. Her replacement on the Appeals Court will have to be considered and appointed by the Judicial Service Commission. Attorney General Basil Williams who sat in on the meeting between the President and Opposition Leader along with Minister of State, Joe Harmon, told News Source that Justice Cummings-Edwards is well qualified for the position to perform the functions of the Chief Justice. He said she has a broad resumé and is very competent in the legal field. The substantive Chief Justice is Justice Carl Singh who has been acting as Chancellor of the Judiciary for over a decade. The coalition government intends to make substantive appointments to both the Chancellor and Chief Justice positions following consultations with the Opposition Leader. Those substantive appointments could come in the new year. More than a decade after being appointed as acting Chief Justice of Guyana, Justice Ian Chang will be proceeding on his retirement leave on December 15. The acting Chief Justice will be on leave before his official retirement begins on February 27, 2016.